Take the steps to help your practice decide whether to outsource billing. Staffing and managing the billing process and staying on top of reimbursement can be both labor-intensive and costly for any size of physical therapy practice. Keeping staff current about regulatory changes and commercial payer requirements is a major challenge. At the same time, billing staff must constantly monitor for and re-bill any dropped charges. Hours can be spent re-filing charges missed by the payer, and more time is spent determining the cause of rejected claims. In a busy clinic, staff can commonly let dropped charges or rejected claims slide, which can have a significant impact on a clinic’s bottom line. When I opened Physical Therapy Center of Bristol (PTCB), we were a paper-based facility. Paper claims were filled out and sent via snail mail. At least 40 percent of claims were rejected for one reason or another, requiring staff to identify errors, fix them manually, and then resubmit the claims. This scenario is still common in many physical therapy clinics today. For facilities reluctant to adopt electronic documentation, consider the following. Today, nearly all insurance companies operate electronically, leaving paper claims to sit at the insurance company until someone inputs them into the system manually. Characters can easily be entered incorrectly when relying on manual data entry, so the possibility of a claim being rejected is greater than with an electronic entry. In addition, staff must spend additional time determining the reason for the rejection before it can be resubmitted to the insurance company. The above scenario was all too familiar for PTCB. As a result of significant time spent trying to determine the causes of denied claims, patient statements were often put on the back burner. Patient bills often would not go out until several months after a patient’s visits, making collection more difficult. Moving from paper to an electronic medical record system (EMR) helped PTCB streamline processes by automating tasks, having standards in place, and creating greater efficiencies. Electronic documentation enforces both consistency and standards. Patients are charged appropriately, and missed charges are discovered and billed promptly. Outsourcing has also removed the burden of overseeing a billing and collection department and has improved PTCB’s bottom line. In addition to bringing peace of mind to practice owners whose area of expertise is clinical care—not billing, outsourcing can have a very positive effect on a clinic’s cash flow. The right billing company improves collection times and increases billing significantly. From a cash-level standpoint, outsourcing stabilizes billing and eliminates the peaks and valleys that are common when billing is managed in-house. Statements go out every 30 days, rather than 60 and sometimes 90 days out, which is not uncommon for a busy clinic managing billing in-house. Additional cost savings are also achieved through the elimination of salaries and benefits for billing staff. A final benefit is that outsourcing billing frees up valuable space for clinical use. When billing is outsourced, therapists have fewer management issues to worry about. Finding and training expert billing and collection staff becomes the responsibility of the billing company. The burden of keeping up with Medicare and other changing regulations is also taken on by the vendor. Billing services companies are tasked with analyzing and complying with the various changes and updating their products and services to accommodate new mandates. The decision to outsource is not simply a matter of the number of patients a clinic sees. Obviously for a practice that treats just a handful of patients every week or for a new practice owner who only has a handful of clients, outsourcing does not make sense. In these instances, maintaining billing in-house may work. 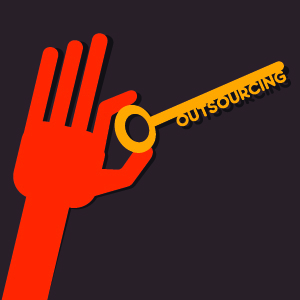 For others, outsourcing is a worthwhile consideration. As with any financial decision, practice owners should do their homework before moving forward. First define the specific goals and requirements you have for the ideal billing partner. Look at several companies, and be sure you are comparing apples to apples. For clinics with a documentation system already in place, look for a billing services company that will work with what you have. PTCB chose a billing company that enabled us to save money by eliminating the need for expensive interfaces and quarterly software fees. When considering outsourcing, perform a three-year cost analysis to determine if this is the right choice for your clinic. Begin by looking at costs over a three-year period, including staff salary and benefits. Figure out whether space will be freed-up and if it can be used as an additional treatment room. Another consideration is capital expenditure. Will you be required to buy new software to be on the vendor’s documentation system? These numbers serve as a good starting point. Practice owners should also analyze current billing practices and ask if they can be done more effectively. If revenues are going down, but no other statistics are, this is possibly an indication that billing is not being handled properly. From a cash flow perspective, look at the total end of month collections. Are therapists billing all the time that they should? Are they capturing everything correctly? Are there a significant number of claims denials? The answers to these questions can lead you in the right direction. If you determine that outsourcing makes the most sense, there are several things to consider when searching for a billing services company. If a documentation system is already in place, inquire about integration. Integration is important because it automates the steps required to convert scheduled cases into zero balances and bank deposits. For example, integration enables payer eligibility to be electronically validated as soon as a case is scheduled into a clinic’s core system. If a clinic’s software does not automatically integrate with the billing services company, additional fees will be incurred. The typical cost to integrate software is $2,000. Other costs to consider include the company’s rate, as well as any hidden fees. Keep an eye on the overall package, which includes a clinic’s existing or future software purchases. Look at everything from scheduling to authorizations, to how documentation and billing integrate. Make sure the company has been in business for a long time and has a proven track record. Also verify that they have the resources to maintain longevity. Choosing a company that specializes in the unique needs of the therapy market is also very important. Make sure the company is easy to work with by asking for the names of clinics that use their company and following up with reference calls. Now that there are more than a handful of players in the industry, rates for billing services companies are much more reasonable today. 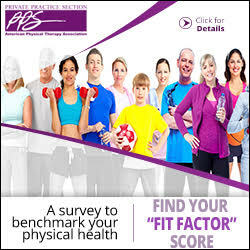 The competition among billing companies is good news to physical therapy practice owners. While there are several good companies out there, do your homework before selecting a billing partner. Craig Zettergren PT, MBA, Dip. MDT opened Physical Therapy Center of Bristol, LLC in 2003 and a second clinic in 2006. Prior to opening his own clinics, Craig was the director of rehabilitation at Bristol Hospital for their outpatient physical therapy departments. He can be reached at craig@ptcbristol.com.